The Uttarakhand government has rejected the Centre’s finding on the role of hydropower projects in the devastating floods that struck the state in 2013, according to news reports. In an affidavit filed in the Supreme Court, the state government claimed that the observations of the expert body set up by the Union environment ministry, which blamed the dams on the Ganga and its tributaries for the floods and landslides, were general in nature and that these were not backed by any scientific study. In the affidavit, the state argued that Haridwar and Rishikesh would have been flooded if it had not been for the Tehri dam. The expert panel, set up on the directions of the Supreme Court, had last year recommended complete overhaul of the environment clearance policy for hydropower projects in ecologically sensitive areas. The report had also faulted the environment ministry for clearing the revived Lakhvar and Vyasi hydroelectric projects in the upper Yamuna basin in Dehradun district last February. Subsequent to the report, the apex court, on August 13, 2014, directed the Union environment ministry and Uttarakhand government not to grant any further environment or forest clearances to hydroelectric projects in the state till further orders. 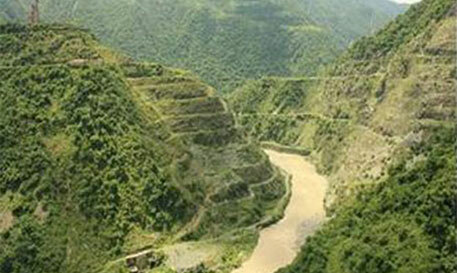 The affidavit of the Uttarakhand government has accused the Centre of delaying hydropower projects and said the state has the potential to generate 2,700 MW power. It has pleaded with the court to give green signal to projects in which companies have invested crores of rupees.